I have met White Rabbitt several times and helped him refine his manuscript. In turn he would sell me parts of his own Manson collection, postcards, autographs, CD’s and books. What I have attached I bought off of Melton and may possibly be a reply from Sandy Good. I also have another one as well. Found it interesting that it is signed Lu Cifer with a bogus Death Valley return address. [The second one] is the one postmarked from Santa Clarita. [The first one] was postmarked from Trenton NJ. Would appear to be the same person in that they used the Lou Cifer sig and the Death Valley Return address. Perhaps if you post them someone may lay claim to have written them or perhaps it was Sandy? 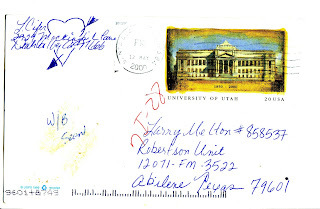 Note [the second] postcard has lipstick kiss on the address side which is faint in the scan. Could have a DNA test done on it to figure out who it is, LOL! 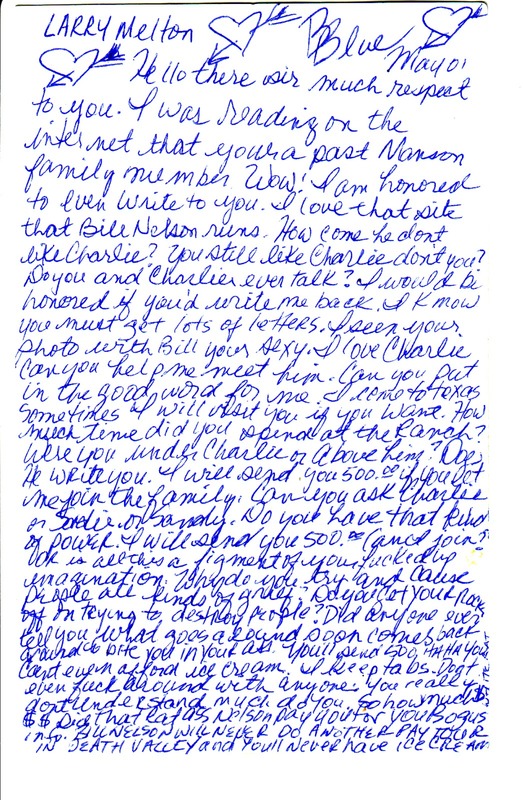 Has anyone ever seen Sandy's handwriting? Is this hers or just someone with nothing better to do? 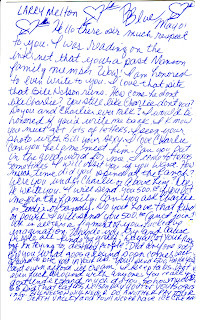 Here's links to something Sandra Good wrote to compare to the handwriting on the cards. This is posted at Howard Davis's site. He does not always source his material, though. But we think there's a possibility that the notes were written when Good and Murphy were convicted of writing all those letters to corporations and such. Squeaky may have been in on writing those letters, too. Are there other examples of those letters somewhere online independent of what is at Howard's site? Anybody? I'm skeptical about the first one being Sandy. I feel as if the letter would be more absurd and angrier if it was her. As for the second, I think it could be because its more threatening and if you notice, Sandys handwriting or shall I say apparent handwriting on Howard's site is a bit slanted and so is the second letters writing. This is all from guessing and doing a crappy job on an iPhone comparing at 3 am. About all I could determine from trying to analyze the handwriting is that I'm terrible at analyzing handwriting. The return address for Lou Cifer was interesting. The 666 in the zip code most likely refers to the mark of the beast. I don't know whether this is a real Death Valley zip but, I've lived in a zip code ending on 666 and have heard that some people wouldn't visit there because of the connotations. The 2929 Mocking Bird Ln. 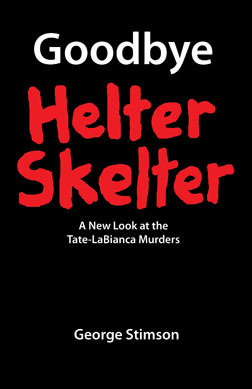 Part tells us that Lou Cifer might have been a neighber of Hermon Munster who lived at 1313 Mocking Bird Lane. 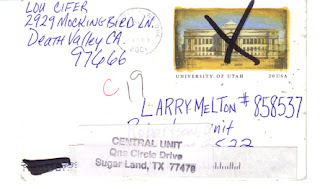 It appears that both the cards are from the same person in that they are the same type of postcard and they use the bogus Death Valley return address and signed Lou Cifer.However one is done in cursive handwriting and the other printed. Weird that one is postmarked from Trenton, NJ & the other from Santa Clarita, CA. The lipstick kiss also leads me to believe it was a female who wrote it. 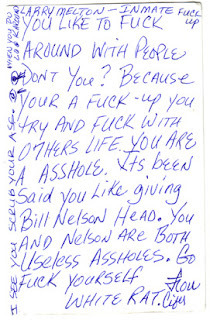 I agree with the angry tone 1/2 way through the 2nd postcard and that sounds like it could be Sandy but the overall content still maintains a bit of a sense of humor which I don't believe Sandy has. Whoever it is seems bent out of shape about the Nelson tours at Barker and also mentioned keeping tabs on Melton. So it seems to be someone with a personal vested interest in Barker and the BS Melton was spewing. 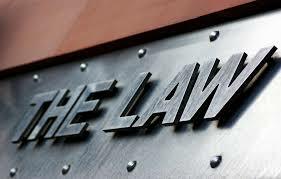 I've contemplated about the identity for some time and there just doesn't seem to be enough to go by to make a definite conclusion. Sandy attended higher education and yet there are three basic misspelling mistakes on the first letter alone. I call bogus. Actually 5 spelling mistakes now that I read it again...too obviously under-educated to be Sandy. Great observation. So it probably is very unlikely that Sandy was the author which I had pretty much suspected. 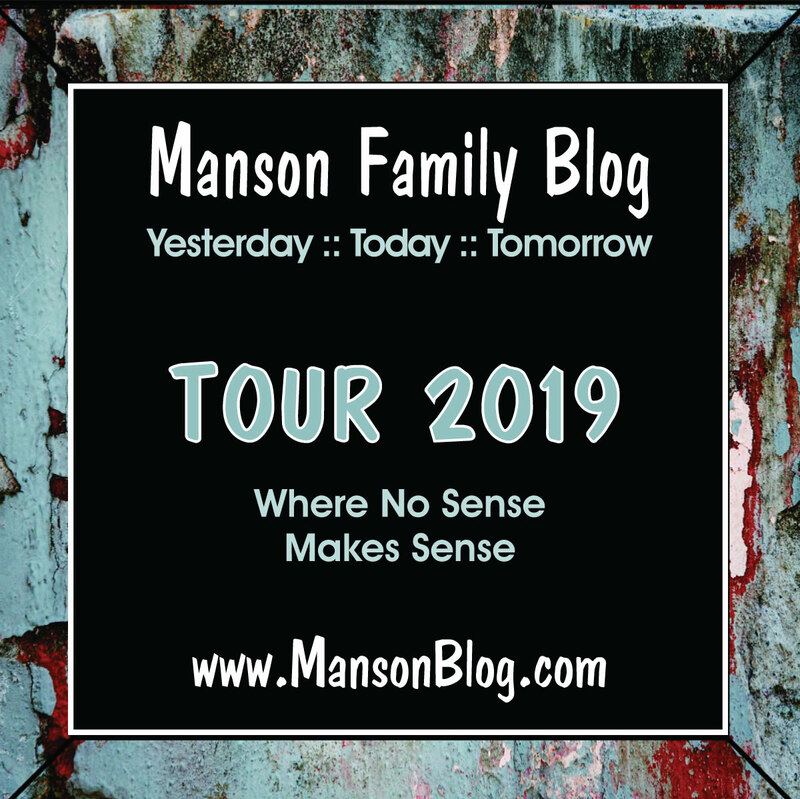 I had kind of hoped that if the author was just someone really interested in the Manson Family they would perhaps be monitoring the blog and see this and reveal that they wrote it. "misspelling mistakes" - slaps forehead. I have room to talk! 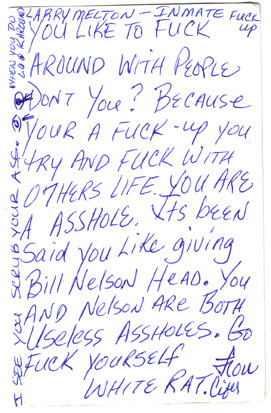 i would say the first postcard was written by george stimson, manson follower and sandy good's roommate and boyfriend(? )during that time period. 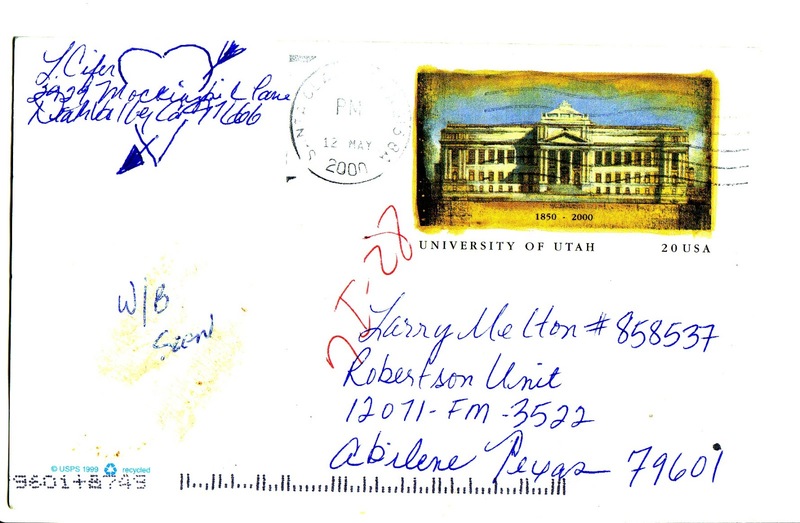 Almost seems like the printed and cursive writing on the postcards were written by different people and perhaps it was a couples effort with Sandy the printed one & George the cursive one?